When Leanne Martin found out she was expecting her fourth daughter, Ramiah, she hoped her pregnancy would be routine like her others. But this pregnancy turned out to be drastically different. A prenatal ultrasound revealed something was wrong with Ramiah’s heart. Leanne was able to carry Ramiah to full-term and gave birth at a hospital in Lancaster. “But when she was born, she looked blue and wasn’t crying,” Leanne recalls. Doctors soon realized Ramiah’s situation was far more complicated, and she was transferred to Penn State Children’s Hospital. 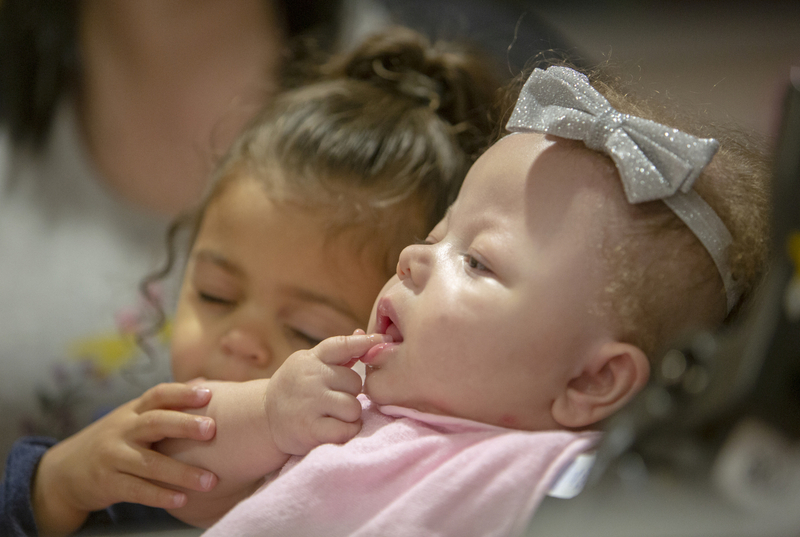 Shortly after her arrival, it became clear that Ramiah had an extremely rare developmental abnormality called tracheal agenesis: she didn’t have a trachea, or windpipe. Most children with this condition do not survive. To give Ramiah a fighting chance, she needed immediate surgery, and her medical team had to develop a way to essentially build a trachea. Using the expertise of multiple specialists at Penn State Children’s Hospital and other medical centers, including engineers and radiologists, a 3D printed device was surgically implanted as a scaffold to help Ramiah’s esophagus serve as a replacement for her missing trachea. She also underwent surgery for a congenital heart defect. This case marks the first time that 3D printing technology was used to “build” such a device and successfully implant it in a patient with tracheal agenesis. The device is bioabsorbable and designed to provide a durable tracheal replacement. The replacement of Ramiah’s trachea was just one of several surgeries the infant underwent in her first few months of life. Despite her challenges, Ramiah has made significant developmental progress. For example, she loves to interact with her big sisters and can communicate a few words through sign language. Today, she is going home for the first time. “For people in the central Pennsylvania area, [Penn State Children’s Hospital] has great staff and so many wonderful things happening here. 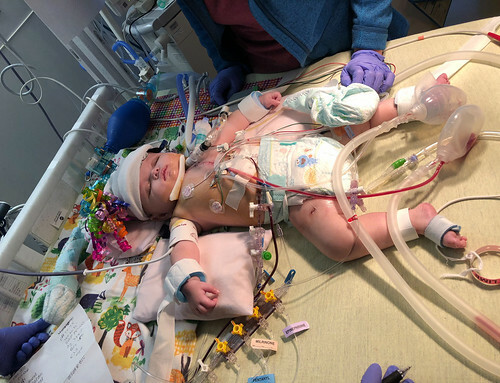 You don’t have to travel far for good help,” Leanne Martin said at a news conference, moments after her daughter was discharged from the hospital. Ramiah is now among the very few children worldwide to survive this condition. Medical publications report only one other in the United States. Nonetheless, her prognosis is uncertain. She still depends on a ventilator to assist with her breathing and is fed by a tube in her stomach. She will face additional surgeries as grows. Ramiah is a “Miracle Child” who receives support from Children’s Miracle Network (CMN). Donations to CMN make possible investments in state-of-the-art treatments and research to give children like Ramiah a fighting chance. Children’s Miracle Network also supports the programs that have helped Ramiah’s siblings and parents cope with her complex condition. Child Life uses play therapy to interact with Ramiah and her siblings, and the Hummingbird Team helps to coordinate her complicated care and support the family’s emotional and social needs. On December 12, 2018, Ramiah’s care team organized a party at the hospital for Ramiah and her family to celebrate her first birthday.